In the awake of the shocking postponement of the general election, stakeholders gathered at the International Conference Centre in Abuja. They came in numbers with their luggage of frustration and fury, confusion and unending questions; all set to be dumped at the table of the INEC Chairman. International Observers were also wandering in the hall, obviously bemused by the unexpected change of situation. The meeting commenced just as the participants were set. 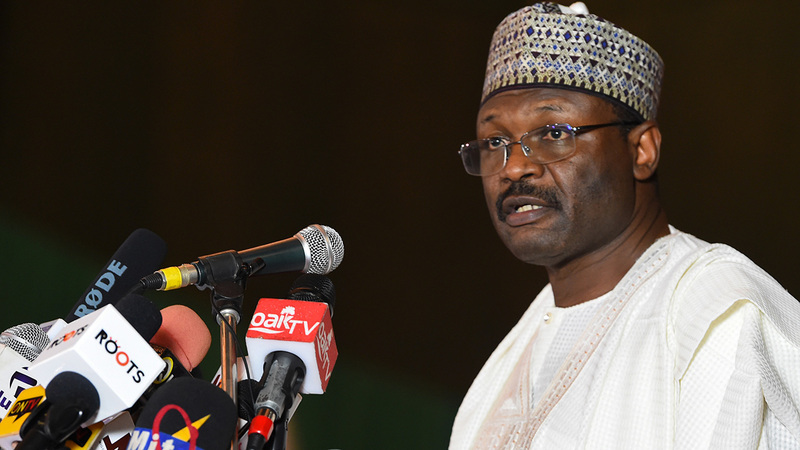 As soon as the INEC chairman, Mahmood Yakubu, ended his speech, room was opened for questions and suggestions. 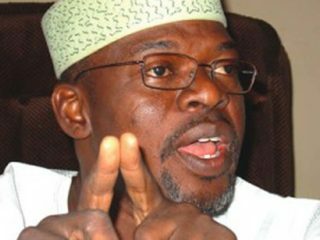 Among the issues raised was Adams Oshiomole’s condemnation of the election’s postponement. In his words, he described collectively all those vying for political posts and other politicians as “players” of this interesting game of politics. Though his impression was later corrected by another stakeholder who believed that the people are the players and not the politicians, but there is a need to look into that word “player” as used by Oshiomole. By carefully scrutinizing into the nature of Nigeria politics, one would discover that this generation’s Nigeria politicians have gone beyond propagating for vote. They have dumped their legal strategies of convincing the voters. The trend now is to brainwash the Nigerian citizens. They tend to pry on the shallowness of our thinking capacity. They dig out stories of ages, restructure it to soothe their taste and cram it into our head. Their previous flaws are left behind the scene and they paint to us, the hope of a brighter future in our state of hopelessness. All these gets into the head of a typical Nigerian and he kept jumping up and down for these players while they sit in secrecy; working on their new brainwashing strategy. They manipulate our thoughts and in their hands we are nothing other than a puppet. As I sat in front of the TV screen, I got glued on The Verdict- a discussion programme on Channels Television. Politicians were invited to discuss the National issue of election’s postponement. Surprisingly, some were busy criticizing each other. They went back to history, related it to the present, and imposing all sorts of blame on the past and present administration. When asked about the impact of the postponement on the country’s economy, one completely went off the rail. The programme hosts had to call back his attention before he remembered that he had not been invited to campaign. It was a platform for discussing burning National issues and not for canvassing for vote or pointing accused finger on one another. Astoundingly, some political culprits have turned the election into Bet9ja, Nairabet, etc. 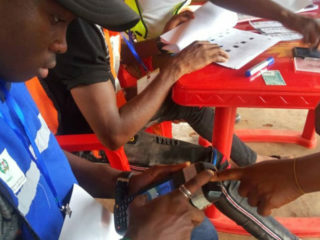 The result of the election which has not been conducted was discovered by security agents, just few hours after the postponement of the election. The result had been forecasted in a blink of an eye; ready to be slotted in once the election has been conducted. Unfortunately for the culprit, his game plan failed. Imagine if it had been successful, our expectation for free and fair election would have been ruined. Meanwhile during the stakeholders meeting, it was obvious that some parties were at the losing end financially. Some parties have disbursed huge money on the mobilization of party agents. Adams Oshiomole, the National Chairman of the APC, was the first person to react over the wasted fund. Fully aggrieved, with two large eyes stretching out of their sockets, he lamented openly the huge amount of fund the postponement has cost the party. He even called on the INEC body for a refund- if that had been possible. All through the complaint, hardly was the effect of the postponement on the Nigerian citizens made mentioned of. Rather, the party’s loss was the centre of focus. Among the players’ tactics of the game is campaign. There had been the ban of campaign few days to the election. Unfortunately the election got postponed, but there was an expectation that campaign would be reopened. However despite the stakeholders taking different routes to the demand of reopening campaign, the INEC Chairman remained adamant in his refusal to change his mind. Surprisingly, the INEC Chairman and his squad lifted the ban of campaign few days after the meeting. 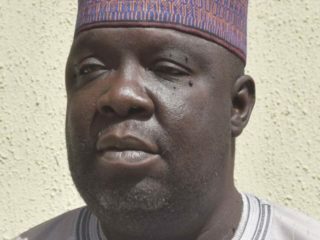 This change of decision could be traced to the reaction of the APC during the party’s caucus meeting. Adams Oshiomole was quick to counter the INEC Chairman’s initial decision. Oshiomole’s tactics for this was a reference to the Constitution. “So, without consulting INEC, we are proceeding and we are ready to meet them in court because they cannot by administrative fiat amend or distort extant provisions in the Electoral Act, and those laws are not secret to INEC.” He said. In a matter of few hours, it was reported that the INEC body has lifted the ban on campaign. This has raised a poser question that could this be the power of the constitution or the power of the ruling part? As political parties are mobilizing their party agents, some political players have also been mobilizing marauders ahead of the election. They tend to brainwash young and desperate Nigerian citizens to invade polling units in order to steal ballot boxes once election commences. In the wake of this act which has been a norm in the facet of Nigeria politics, the President has issued stern warning that whoever attempt in stealing ballot boxes do so at the expense of his or her life. This statement as issued by the President was shocking and has been exposed to a lot of criticism. It is such a desperate measure taken against desperate players who are ready to pass through any desperate means to ensure that they win the election. This measure has seen some Nigerians labeling the President as a dictator whose quest for another term in office makes him to pass such a rule. But how true is this perception? In these same few days after the postponement of the election, there had been loss of lives in some part of the country. Nigerian citizens have already been discouraged from fully participating in the election. But political parties have been able to encourage the people to stand back on their feet and carry out their political right. But by looking at the unreasonable killing across the country, Nigerians’ confidence of free, fair, and peaceful election has been depleted. 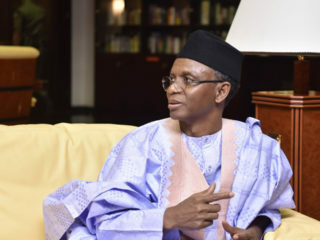 Over 66 people were said to be killed in Kaduna State with the Governor of the state revealing that the figure is 130 and not 66. Also in Ebonyi state, two persons were reported to be killed and scores of people injured on account of political crisis. How much of encouragement do we think will prompt the family of these lost souls into voting? Again, the election is getting closer. Aside from the physical war and crisis that we have been witnessing, there had been wars of words among parties. Despite the signing of Peace treaty, there is still some form of exchange of words and accusations which results to crisis among opposition parties. There have been cases of the invasion of rally grounds of one party by the opposition party. It now seems that the peace treaty has long been forgotten and dumped in the trash. The game is now getting to the climax. These players are now counting on their puppets. But it is time for every Nigerian to wake up to reality. The future of this country lies in our hand. We are the real players and it is our right to decide on which way forward. This is about our future and our decision matters in choosing the better way forward.